You have the passion. You want to join the best of the best in recreational scuba diving. You want to live the dive lifestyle and explore our underwater world and go places and see things you have never experienced. – Individual pages outlining each specialty, duration, availability and cost will be coming soon. Thank you for your patience. 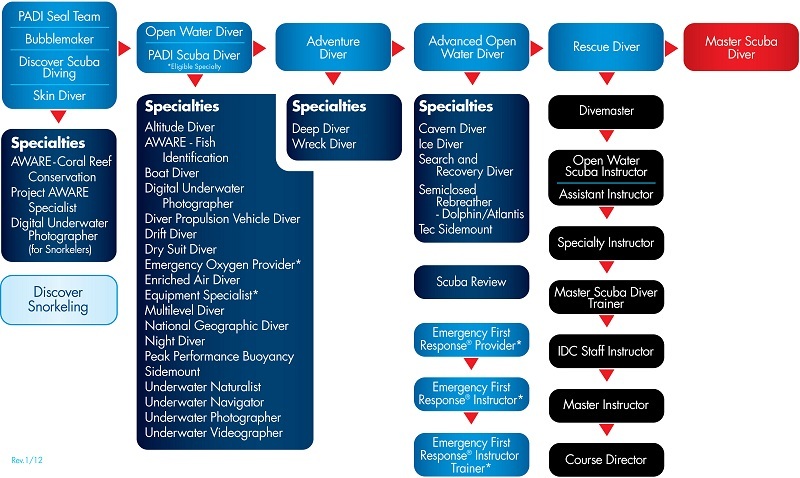 *Please note that currently John can teach all of the specialties listed above with the exception of National Geographic Diver, Recreational Sidemount, Technical Sidemount, Cavern and Semiclosed rebeather – Dolphin and Atlantis. **John also teaches a number of distinctive specialties as well including Project Aware Shark Conservation Diver, Shark Awareness and Administer Emergency Oxygen. Professional Dive Services also offer more dive specialties than ANY other dive shop in South East Queensland. Let John expand your diving frontiers with specialty courses designed to increase your experience and comfort in our underwater world. John is constantly updating and increasing his training to ensure that you have the most up-to-date instruction and if there is a dive experience that you are looking for, he will do everything he can to make it happen for you! For more information on becoming a PADI Master Scuba Diver, contact John or Lisa at [email protected] or [email protected] If you would prefer to speak to us directly please call John on 0457 007 040 or Lisa on 07 3204 5857.